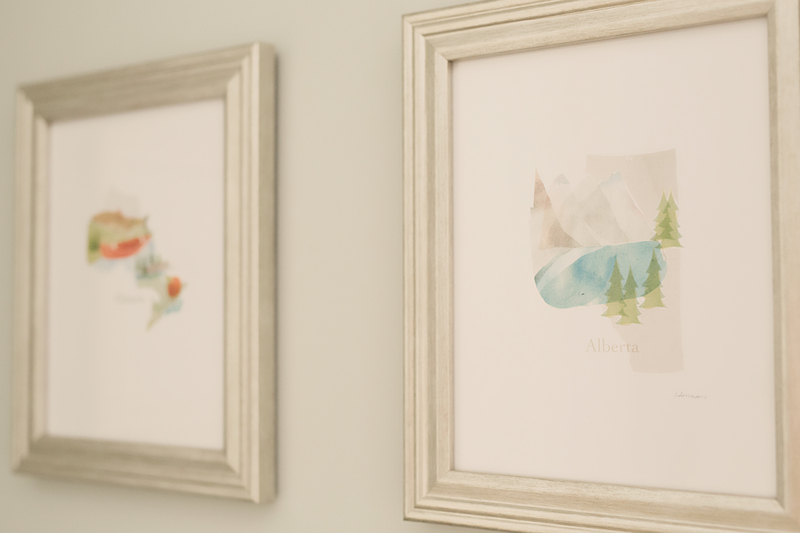 With Charlie being our second baby boy, I was so excited to have the opportunity to plan out another nursery space. 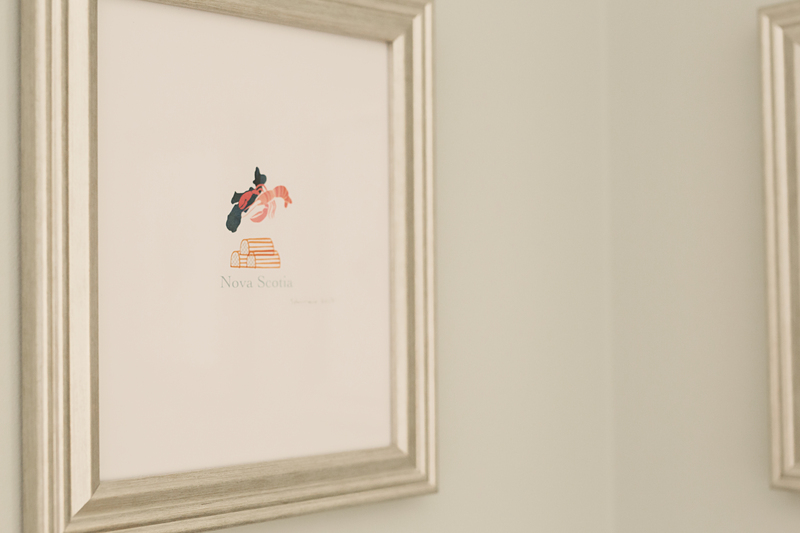 (There’s just something about having a nursery room that brings out a level of serenity in the home.) 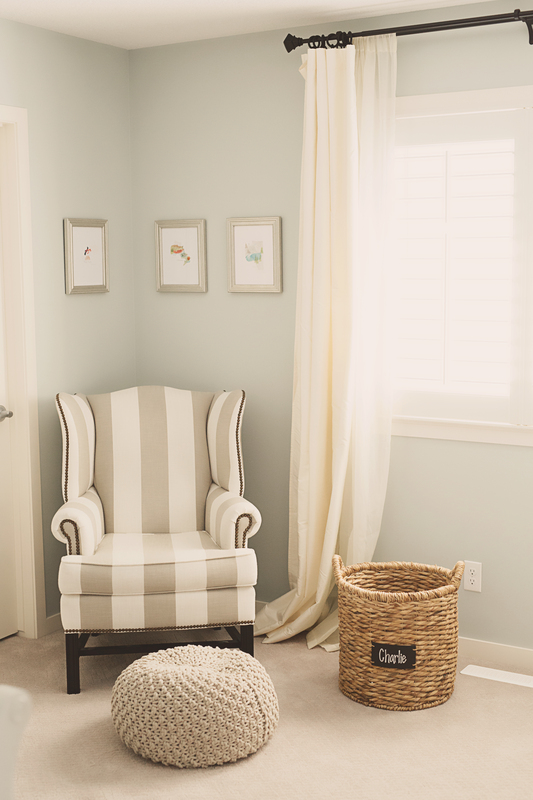 For Charlie’s room, my priority was to make it feel unique and different from Luke’s traditional nursery but still incorporate a lot of hand-me-down pieces to save some money. My other priority was to set up the space so that it’s functional yet still feels cozy. I was able to achieve this by going with a more minimalist style and sticking to warm tones to brighten up a darker space. As much as I wanted to have a main focal point/feature wall in this room I knew it would be a little challenging to set up because we have a door on 3 out of the 4 walls with an adjoining en suite bathroom. So instead I just focused on all the key stations and made sure the flow worked from crib to change table to library nook and nursing station. sometimes a theme can pigeonhole you so don’t feel like you need to stick to one specific idea. going with a neutral palette can brighten a space, make it feel larger, and solve the issue of mismatched looks. 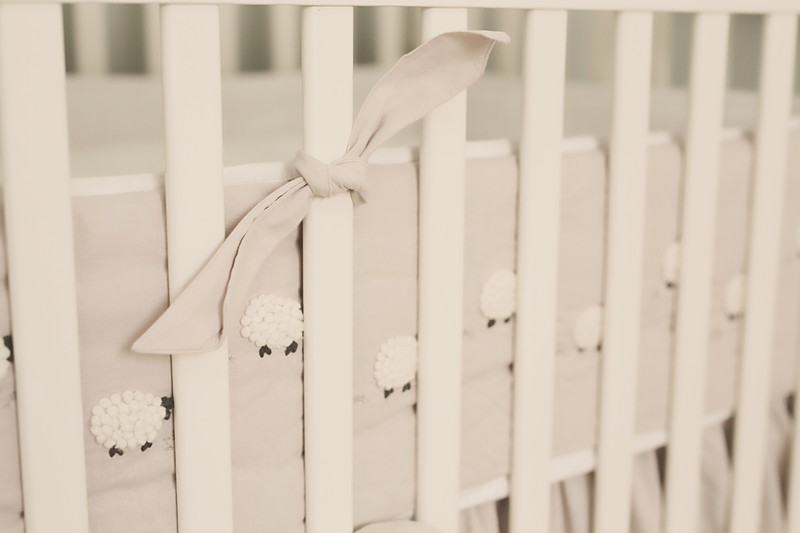 Neutral items can also be passed on to the next baby no matter the gender. 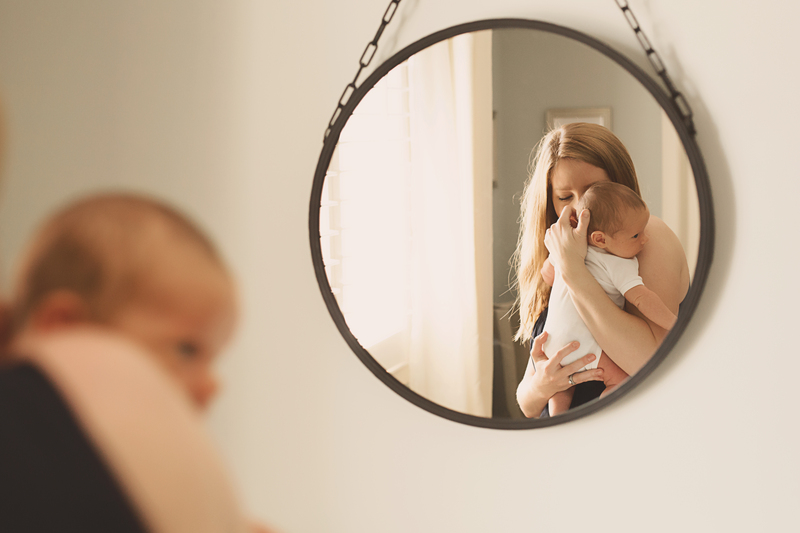 less is more – trust me, you don’t want to clutter up the space because once your baby starts motoring around it’s less you have to baby proof. Save all the fun accessories and toys for the playroom. 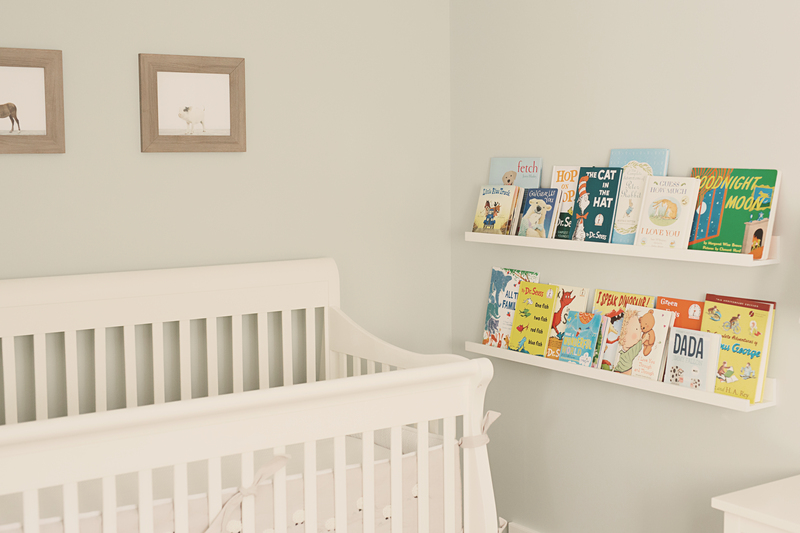 By using items around the house, from Luke’s old nursery, and receiving hand-me-downs from family, we managed to only buy 6 new things for this space. We bought a dresser, mirror, crib mattress, book shelves, change pad, and video monitor. If you didn’t guess, this is my new favourite room in our home and I hope you enjoyed the little tour. I have such a passion shopping for home décor items and then tying it all together so that each room is an extension of the last. Previous Hospital Bag Essentials: What’s in my bag?